Playing pranks on your friends is the most popular reasons to change the sound of your voice. Thanks to a variety of apps available on Google Play, you can easily change your voice and enjoy additional effects that will bring fun to your day. Voice changing apps provide different options to break the routine. You can sound like a robot, your favorite movie character and much more. In most cases, the apps can be downloaded for free but some of the effects are available as in-app purchases. 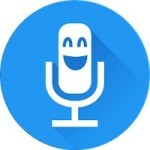 Here you will find the best voice changing apps for Android. 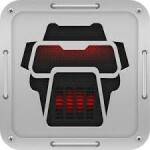 AndroidRock’s Voice Changer is one of the highest rated apps in its category and it is easy to see why. It provides seamless performance and offers amazing effects to add fun to your voice. You can record the audio, apply effects during the recording. Effects can also be added to an existing recording and you can edit saved audios as well. The saved audios can be shared via social networks or Bluetooth. Some of the effects that you can choose from are underwater, duck, drunk, bee, twisted tongue, creepy movie, martian, child, big robot and devil. Another great option is this app created by e3games, which allows you to add crazy effects to your voice and sound recordings. It supports some of the most popular effects including squirrel, bee, robot, space station, chorus, helium and underwater. You can even play your voice in reverse and the convenient interface will allow you to make changes without hassle. Recordings can be shared with friends via chat apps, email or used as notifications, ringtones or alarms. Prixmapp offers the possibility of changing, modifying or altering your voice with the help of a great selection of audio effects. 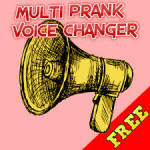 It is the ideal option for April’s fools or whenever you want to prank your friends. You can make your voice sound faster or slower, and there are also options like robot, chipmunk, helium, whispering or bells. Environmental sounds like police siren, storm, rain and seaside will make your prank calls more believable and you can adjust the intensity and the volume of the sounds. Another option available is to use the sound effects for notifications. Your voice changes and effects can be recorded and shared via email, Facebook, Twitter or WhatsApp. 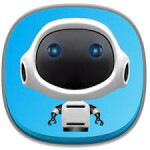 You can record your voice and change it with amusing effects with the help of Androbaby’s app. The selection of options available include smurf, bee, chorus, underwater, monster, echo, helium, alien, space station and telephone. To have fun playing pranks or simply listening to the different ways your voice may sound like, you just need to record it and add the effect your prefer. The results can be shared via email, chat apps and more. The app can is free but some of the options are available as in-app purchases. This popular app from Baviux is loved by thousands of users who enjoy its great selection of features and all the effects available. You can sound like a dragon, space mutant, ghost, a villain, Darth Vader and more. 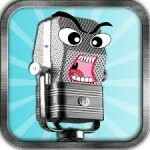 The app allows you to record your voice so that you can alter it with funny effects. The recordings can be shared with friends through WhatsApp, email or Facebook. Recordings can also be used as notification sounds or ringtones. 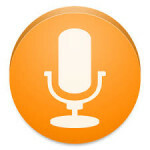 The app gives you the possibility of creating voice from text and to create images with sound. With this app you can find out what your voice would sound like if you inhaled helium from a balloon, without having to expose yourself to the risk. 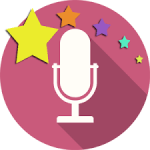 It is a simple and amusing app that lets you modify your voice using the helium effect, as well as other popular options like robot and chipmunk. 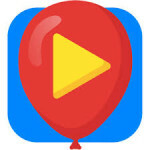 Helium Voice Changer by Androidxs includes a video changer so you can send hilarious videos or modify existing videos with a sound effect. The results of your sound and video alterations can be shared via messaging apps, used as ringtones and more. The ease of use and good list of effects that this app from Twiscon Software offers, have allowed it to become a favorite option for many users. You can add funny effects to your voice, making it sound like a robot, a chipmunk or as if you were talking from inside a cave. There are 12 effects available and you can make changes on recordings of your voice, a song or any sound. It is also designed to work as a standard voice recording application and it is available in multiple languages. 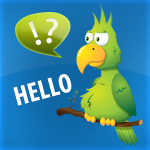 Altering your voice with pre-defined options is easy thanks to this app from Best Free Apps Intl. The sound effects supported include cat, megaphone and robot. It is also possible to customize voice alteration effects and use the interface to adjust the speed and pitch or to apply echo settings to give your voice a unique sound. You can playback the recordings instantly and change the sound of your voice in the way you wish. This voice changing app from Mikrosonic offers 32 voice styles and you can adjust the pitch and modulation using its simple interface. RoboVox uses Vocoder technology with real-time FFT spectral analysis. The effects include Singing robot, exorcist, discobot, Dalek and classic options like chipmunk. The results can be used as ringtone or shared via email or SoundCloud. 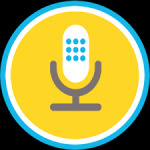 There are 10 free voices available and you can get more through in-app purchases. Call Voice Changer by Telestar features a colorful interface and a good variety of sound effects to keep you and your friends entertained. The options available include gong, siren, dogs bark, elephant and horse. The pitch of your voice can be altered with the help of this app and it works in real time, making it also great for prank VoIP calls. The downside is that you need to get credits in order to be able to make calls.